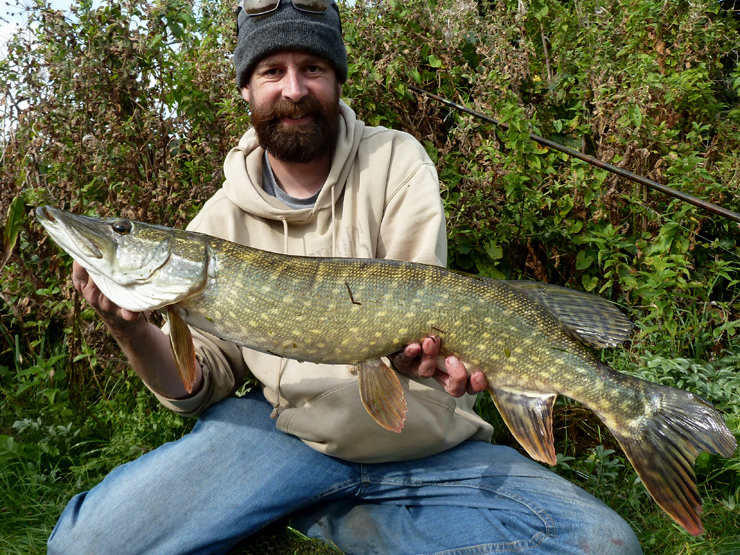 Pike time and an early start on The Royalty, I had two missions; watch the float hammer under as a pike nails a livebait (I had no deadbait back-up plan), and land my first Hampshire Avon double. Livebait was hard to catch, I struggled to get through the minnows - and I hooked a sea trout on the bleak whip, quite a fight before the hook pinged out. I caught little roach but couldn't bring myself to use them for bait, but eventually had half a dozen little dace in the bucket. After a bit of wandering about searching any little slacks next to a fast glide my float shot away - as my Dad always says "when that float shoots under it could be two pound or twenty two pound" - in this case it was about 7 or 8lb and gave a spirited aerial fight. I followed it up with two more pike, one about 6lb and a weighed one at 8lb 2oz, three pike I'm happy with that - especially because the lure boys and the deadbaiters didn't find fish - sometimes only a livebait will do! 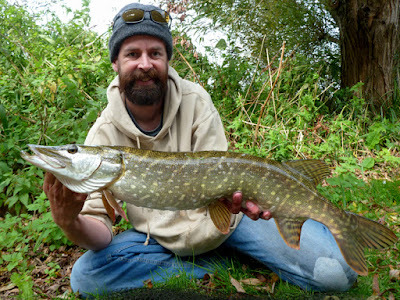 Beautiful pike. 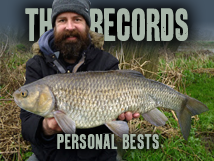 Ever considered a 'fishing guide' job? I'd love to do that, but you need to know a river like the back of your hand to do it. I'd love to have the money to spend the next 10 years learning The Wye like that! !